When I was 19, I got my first set of GHD Straighteners. They were hot pink in the classic style and I loved them. Even though my hair is naturally straight, they were great for that extra sleek finish, eventually learning to throw a flick or a curl in there too. I loved them. Fast forward almost 11 years to the day and I still have those exact same hot pink GHD’s. They have never failed me. They still heat up perfectly, no crackling, no wire damage, no plate damage. The odd scuff mark aside, they are almost as good as new! There are some things you buy that really are a lifetime investment purchase and for me, GHD’s are high up on that list. So when I was invited down to my local GHD counter in John Lewis for a hair curling masterclass, I jumped at the chance to upgrade my GHD game. I popped along on a busy Saturday afternoon to meet Natalie who would be my hair-y god mother for the afternoon. It’s be a long time since I even looked at what GHD has to offer and damn, have they come a long way since I got my first set! We all know and love the classic slimline styler, but did you know they actually created the max styler, with a wider plate to stop people making fakes? The new tri-zone technology inside the straitening plates means there are three heaters running through the plate, giving a more even distribution of heat and 50% less hair damage. I fell a little bit in love with the platinum styler, with it’s white finish and space-age design too. Straightners aside, I didn’t realise GHD actually have a range of hairdryers and tongs too that are, in short, brilliant. It was the Curve Classic Wave Wand that we ended up using on the day to create some voluminous tousled curls. The wand itself has, to me, a really unique barrel. It’s more like a squashed oval. This thicker, oval shaped barrel is perfect for longer hair - it wasn’t until Natalie took a picture of my hair all brushed out that I realised just how long it was! I started to apologise, convinced I was going to give the poor girl RSI after curling all that hair! She promised me it wouldn’t be a problem and started sectioning it all off. When I curl my hair at home, be it with a wand or straighteners, it takes me close to 90 minutes. 90 frazzled, stressful, get half way through and want to pack it all in and straighten everything I’ve done, minutes. Natalie had it done in 30 minutes which included being stopped by customers to answer questions and us two having a good ol’ chinwag about the wonderful world of blogging. 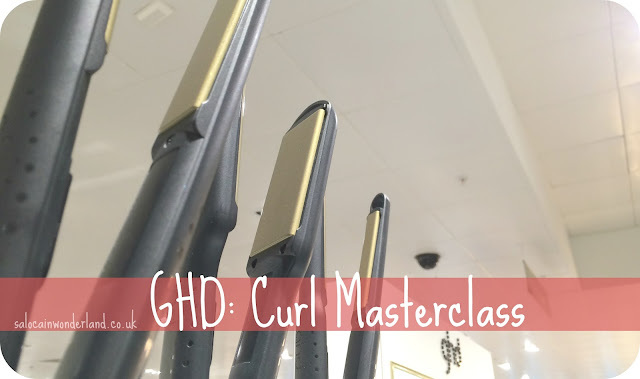 She even shared some top tips for recreating the curls myself at home with my current GHD’s. I was in awe of this magic. 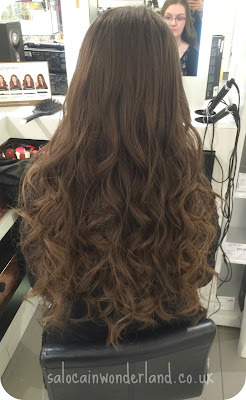 Natalie had created tousled, shiny, voluminous curls that I couldn’t stop bouncing! 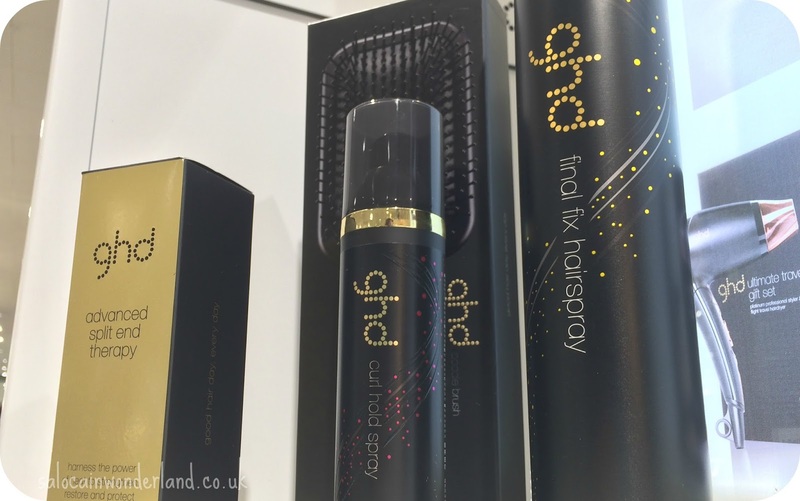 She sprayed each strand with GHD’s Curl Hold Spray, a multi functioning product that not only helps to create long lasting curls, but acts as a heat protectant too. 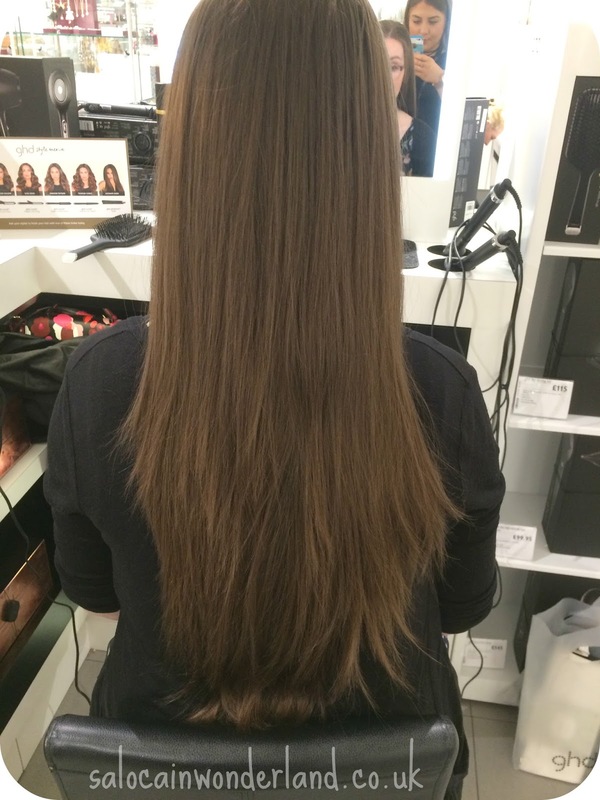 Then finished with an overall spritz of the GHD Final Shine Spray and a heavy dose of the GHD Final Fix Hairspray. All of the products smelt amazing and were so light, they added no weight to my hair whatsoever! We both had to laugh, my hair looked like it had doubled in volume! With photos taken and more thanks doled out to Natalie for a wonderful session, I skipped out of John Lewis feeling ridiculously glamorous, my curls bouncing right along with me! I learnt more about my own hair and how to curl in that one session than I think any YouTube video has ever taught me! 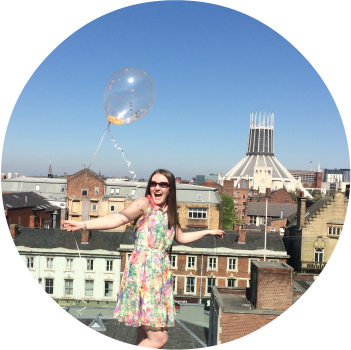 There really is something to be said for a more personable experience! 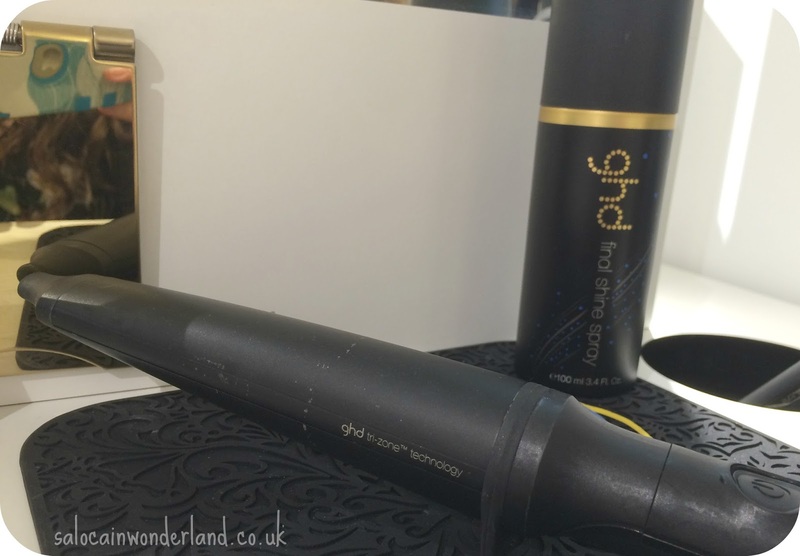 Do you own a set of GHD’s? How long have you had yours for? Thaaaaaanks! I loved it so much, I need to try and recreate it at home, the curls were so big and bouncy! Your hair turned out so beautifully! I wish I had a pair of GHDs, even though I've got curly hair I'd still like to try my hand at curling with them haha! They are well worth investing in if you ever find yourself wanting a pair! I just find they do the job so well and they literally last forever as long as you look after them a bit!